"I'm not like the rest of my family…" Disney-Pixar have revealed one final, official trailer for Pixar's Coco, the first musical and next animated movie from the beloved animation studio. 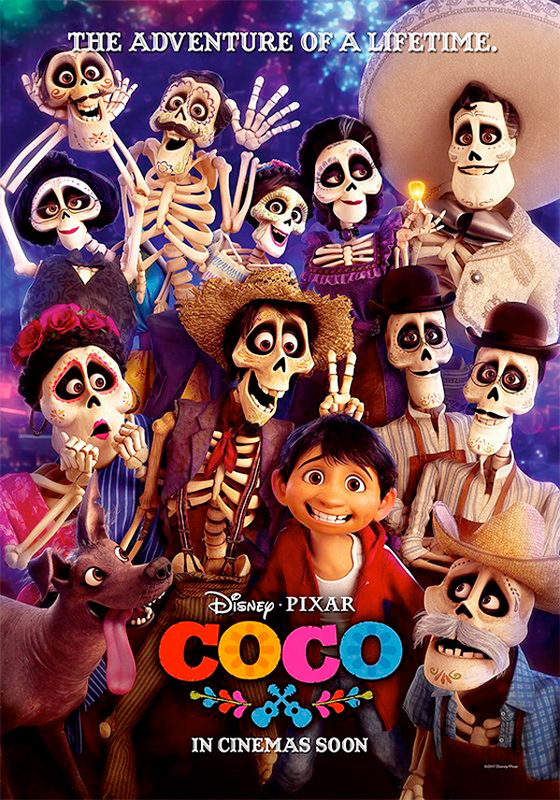 The story involves a young boy named Miguel who gets lost in the world of the dead while searching for his great-great grandfather. This already opened in Mexico to rave reviews. The voices include newcomer Anthony Gonzalez playing Miguel, along with Benjamin Bratt, Gael Garcia Bernal, and Renee Victor. We've already seen three trailers previously, but this final one gives us a colorful look at the world that awaits us. I'm very excited to see this, I'm in need of another Pixar tearjerker. This looks charming and heartfelt, as expected from Pixar. You can also watch the teaser trailer for Pixar's Coco here, the full-length trailer or "Dante's Lunch" short.